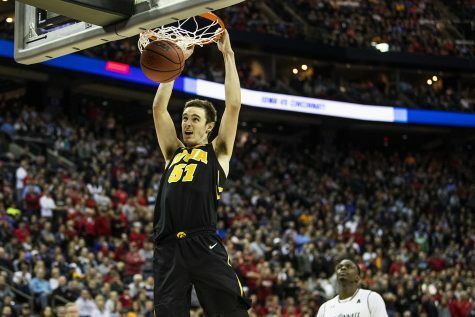 Defense (yes, defense) propelled Iowa to its third conference victory in a row, this one over No. 12 Ohio State. 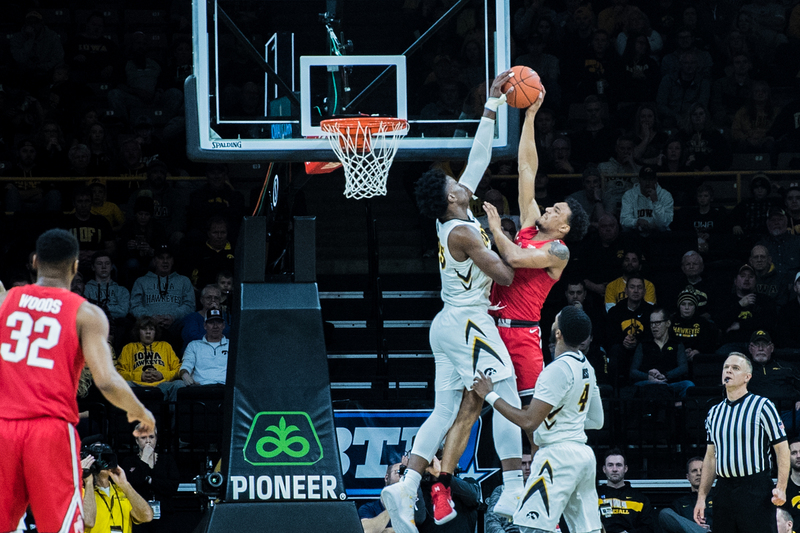 Iowa forward Tyler Cook blocks a layup during a men's basketball matchup between Ohio State and Iowa at Carver-Hawkeye Arena on Saturday, Jan. 12, 2019. 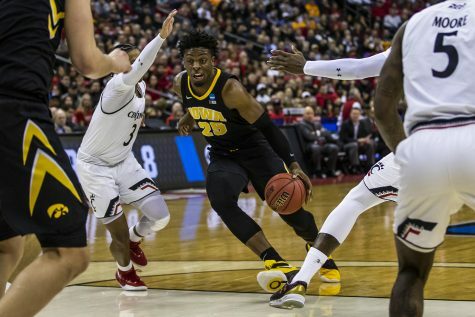 The Hawkeyes defeated the Buckeyes, 72-62. 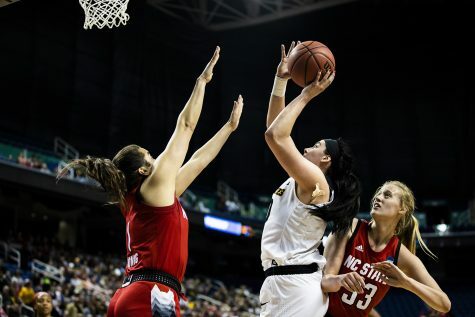 The Buckeyes cruised to a 10-point win in Carver while shooting 53 percent from the floor, and then the Hawkeyes fell apart in Columbus, allowing Ohio State to shoot 52.7 percent in an 18-point loss. On Jan. 12, Iowa flashed something Hawkeye fans didn’t see once last season: defense. The Hawkeyes shut down the Buckeye offense, holding Ohio State to 37.3 percent shooting, and they forced 21 turnovers. 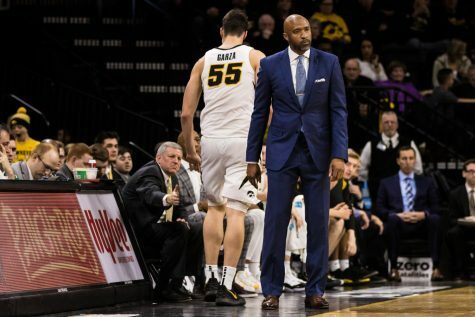 Iowa also held Ohio State to just 62 points, the fewest points given up by Iowa in conference play this season and 25 points fewer than what it averaged against the Hawkeyes a year ago. 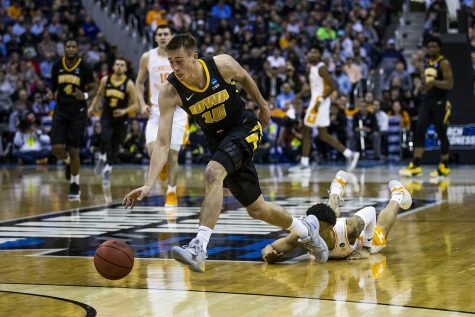 Taking that into consideration, Iowa’s best defensive performance this season came when its offense couldn’t buy a bucket in the first half. 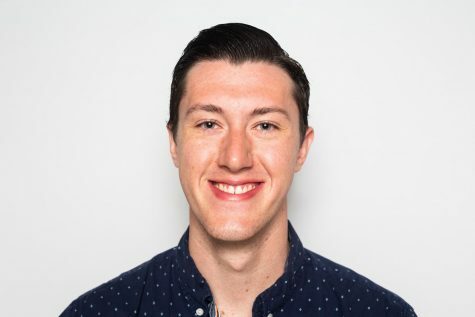 That renowned sense of defensive urgency was reflected in Iowa’s press, not allowing the Ohio State offense to ever get into any sort of rhythm. Head coach Fran McCaffery said after the game that in the second half, the press forced Ohio State to go side-to-side. At the same time, individual plays exemplified Iowa’s attention to defense. 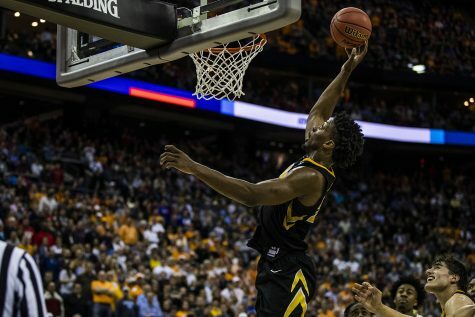 In the first half, Ohio State’s Musa Jallow took a pass in the lane and rose up for a dunk, but Iowa’s Tyler Cook met him at the rim, swallowing the guard’s shot, sending him to the floor, and bringing the Carver crowd of 14,528 to its feet. 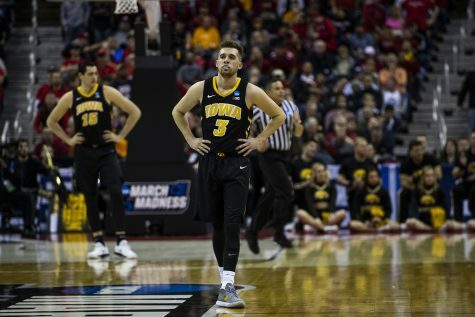 Ohio State head coach Chris Holtmann credited Iowa’s experience in McCaffery’s system as one reason for Iowa’s defensive spark, and he also pointed out that in his eyes, this season’s Hawkeye team was much longer than in years past. Now, there are some differences in the roster construction in both teams when looking at this season and last year’s. 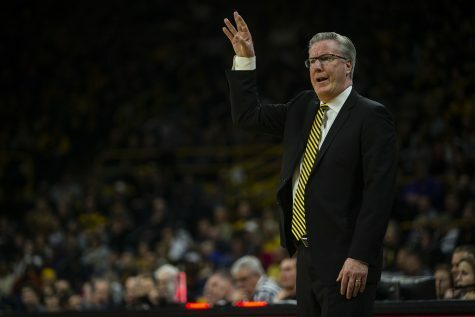 McCaffery pointed out that Keita Bates-Diop, the reigning Big Ten Player of the Year, is no longer with the team after being drafted by the Minnesota Timberwolves. He scored 41 points combined in the two games last season while shooting an identical percentage as his team. 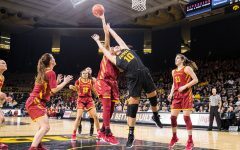 However, the Hawkeyes made an effort to focus on defense this offseason after finishing dead last in points allowed in conference matchups (78.7). 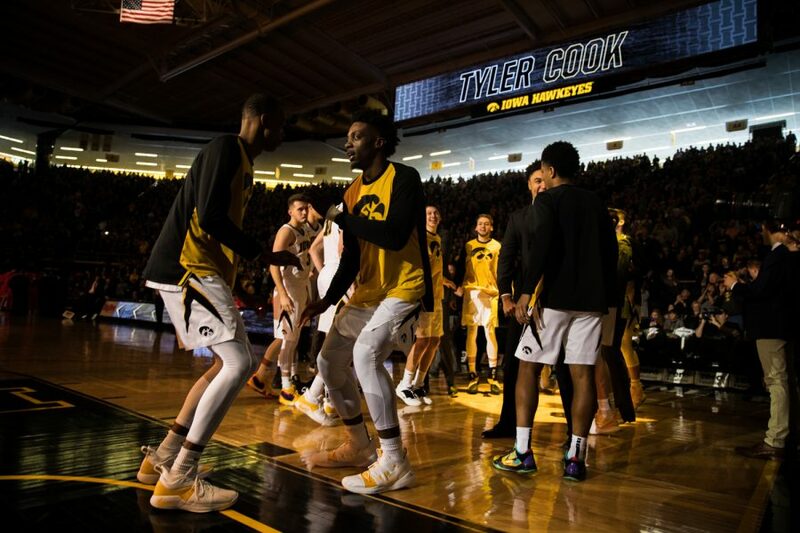 Tyler Cook is introduced during a men's basketball matchup between Ohio State and Iowa at Carver-Hawkeye Arena on Saturday, January 12, 2019. 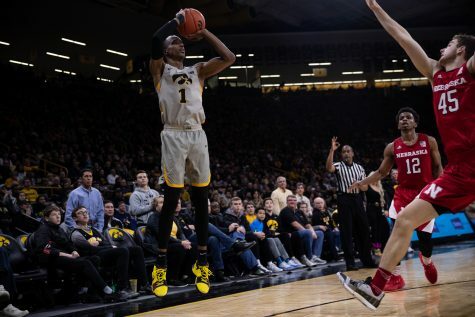 The Hawkeyes defeated the Buckeyes, 72-62.